There are so many reasons to love Sanibel and Captiva islands, the coastal barrier islands that lie just off the coast of Ft. Myers in southwest Florida. They're quiet and still unspoiled...untouched by mass tourism. 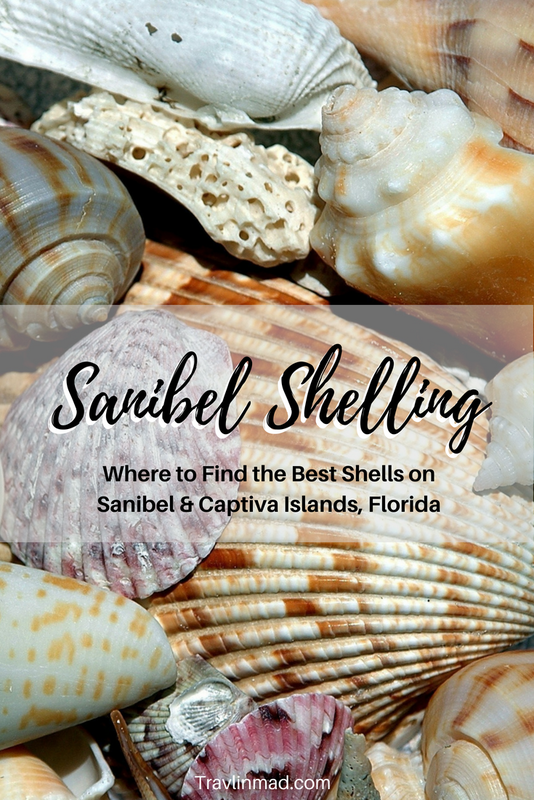 Families still enjoy the simple pleasures of a beach vacation but perhaps the biggest draw to Sanibel and Captiva, and the one distinguishing factor southwest Florida is known for is its shelling, arguably some of the best shelling in the world. 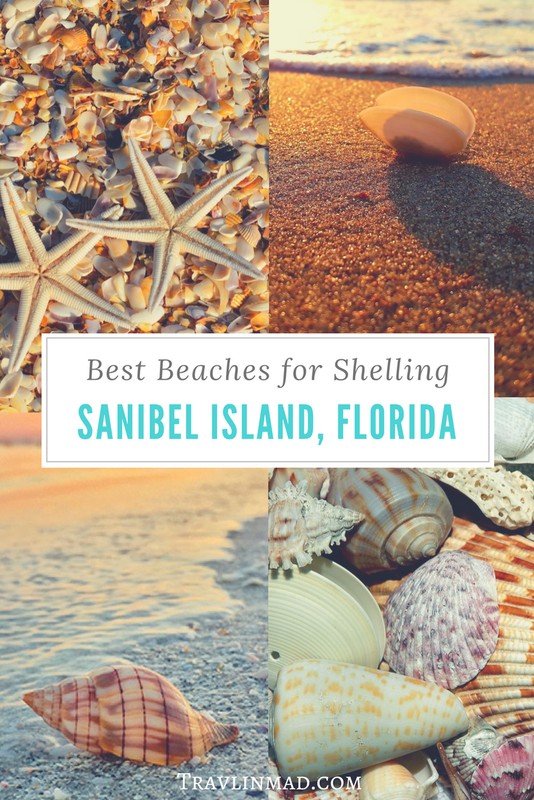 But where are the best beaches for shelling on Sanibel? 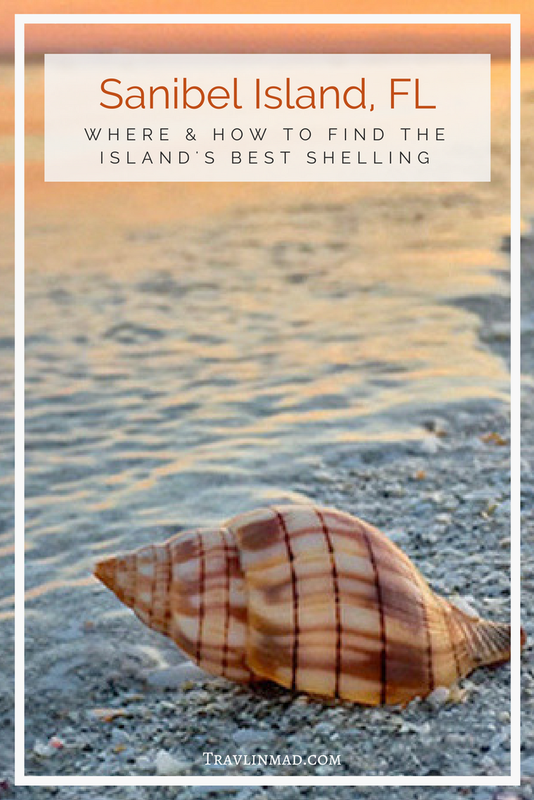 Why is Shelling on Sanibel Island So Good? If you've ever wondered why Sanibel has the best shelling in the world, take a look at the island on a map. It literally looks like a dolphin diving toward Ft. Myers Beach, with the historic Sanibel Lighthouse as its nose. The island's curved geography together with strong Gulf of Mexico currents and a broad underwater shelf make the geography here perfect for receiving an abundance of seashells. It's not uncommon to feel them gently tapping your feet and ankles as you wade near the shore. The shelling here is so good that the most common posture among beachcombers and shellers is often called the Sanibel Stoop, for obvious reasons. If you're not underwater, you'll spend most of your time hunched over hunting for those shells. So, Where's the Best Shelling Beach on Sanibel Island? For great shelling on Sanibel, there's not just one but three awesome beaches where you’ll find the mother lode. If you're staying overnight on the island, there's a good chance your accommodations will be located along the island's south coast (the dolphin's belly), making your chances of gathering good shells that much better if you're an early riser. But day trippers will find their fill of gorgeous seashells too if they just know where to go. The island's most pronounced arch is where you'll find two of the best shelling beaches, with the third beach on the easternmost tip of the island. Located at the western end of Sanibel, Bowman's Beach is one of the premier beaches to find good shells on Sanibel. Drive through the main shopping district in Sanibel, turn right, then left, and drive about 6 miles before you see the sign for Bowman's Beach. Watch your speed if you're driving -- the speed limit is low and heavily enforced. There's a large lot with ample parking, and a machine to pay the parking fee. Changing areas and restrooms can be found on the walk toward the beach. TIP: Bring a beach cart to Bowman's Beach if you have a heavy load. There's a longer-than-average walk to the beach through several protected mangroves. The tiny inlet that separates Sanibel from Captiva island is barely discernable from all the blue around you, and you may not realize you've left one for the other if you don't see the bridge. The divide here was created by a hurricane in 1926 which created the new channel and separated the two islands. Blind Pass is located a short ways past the turn off for Bowman’s Beach. You’ll find small parking areas on both sides of the bridge to leave you car. You'll find better shelling on the Sanibel side of the bridge, but be mindful of the strong current in the Pass. The beach near the Sanibel Lighthouse extends around the entire tip of the island, making this a perfect spot to spend the whole day from morning til sunset. The parking lot offers plenty of paid parking, and small paved walking paths take you through the woods from the parking area to the fishing Pier north of the Lighthouse or right to the beach. The Lighthouse makes for great photo ops especially at sunset, and the beaches on the south shore have the best shelling and good views of Ft. Myers Beach and the beaches of Naples. What's the Best Time to Find Shells on the Beach? The colder months of the year, December through April, generally bring the best shelling, though I've found some of my prized shells at other times of the year. I found 5 pairs of these Giant Cockle shells (above), still attached, in late August. There's good shelling at any time of day, but you'll find them in more abundance at sunrise and after a good storm. Shelling from the shore is best at low tide, but if you're a snorkeler and want to dive underwater for your treasure, incoming tide can be a great time to go! Pick up a Sanibel Island tide chart at most local grocery stores and fishing stores on the island. Shelling isn't only fun, it's seriously addictive, so follow these shelling tips for the best results in creating an amazing shell collection. 1. No Live Shells! - If the shell you found has a hard cover over the opening, somebody's home. Not to insult your intelligence, but I've been at the beach when some people get their first lesson in ocean biology. Yes, real animals actually live inside seashells. Sanddollars and starfish are also live animals, or live shells. There's a hefty fine if you're caught taking live shells from the beach, not to mention the harmful impact on the environment. Always throw them back in! 2. Low Tide for Beach Shelling, Incoming Tide for Snorkeling! - There's good shelling at low tide, but the incoming tide can also be great for finding shells. Swim out chest-deep and feel around with your toes! 3. Dig for Shells - You'll find some beautiful shells of all sizes just sitting at the waters edge and digging in the soft mounds of sand and shells as they wash ashore! 4. Spawning Season - The congregation of Sand Dollars and 9-Legged Sea Stars in the water around June and July indicates spawning is underway, so be careful where you step. And remember, if they’re alive, throw them back in. 5. Be an Early Bird - When it comes to shelling, the early bird really does get the worm. Head out at sunrise, especially after a heavy storm for the best finds. Sundial Beach Resort and Spa, Sanibel - A fun and affordable family destination right on the beach, with lots of activities for the kids, or none at all for you :-) The Sundial has a well-deserved reputation as one of Sanibel's best hotels. Find the best rates and details. Casa Ybel Resort - Not only is Casa Ybel one of the premier wedding venues on the island, it's also one of the nicest upscale places to stay for families or a romantic getaway. They have a prime beachfront location and the property is large enough at 23 acres to feel private and secluded. Check prices and more details. The Inns of Sanibel - The Inns of Sanibel own a number of very nice accommodations on the island. We've stayed several times at the Sanibel Inn, though all of the Inns of Sanibel have a laid-back family atmosphere, perfect beach location, and the same great service. There's also the Song of the Sea, Sunset Beach Inn, and Seaside Inn, all with that nostalgic Old Sanibel feel. You really can't go wrong at any of their properties. Check the latest prices and more details. The Island Inn, Sanibel - Another great place to stay that's right on the beach! Find the best rates and details now. Sanibel Island Beach Resort, Sanibel - this nice boutique hotel on the eastern end of Sanibel near the Lighthouse is clean and comfortable, and gets a big plus for being pet-friendly! Check out rates and details now. A Mask & Snorkel - Most days on Sanibel you don't really need a mask to see clear to the sandy bottom, but it helps spot seashells that haven't yet washed ashore. Mesh Shelling Bags - like a laundry bag for your shells, with tiny holes to let water flow through without losing your shells. This set of four comes in fun colors so everyone can have their own. Lunch - Stop at Jerry's Market or Bailey's Store in Sanibel for a great assortment of hot and cold picnic foods, grocery items, and beach toys. Sunscreen - Don't forget to slather up often so you don't overdo exposure to the strong south Florida sun. Beach Umbrella - a good beach umbrella is a must if you plan to spend hours at the beach. One of my favorites that can cover the whole family is the Sportbrella. It pops up & down easily, weighs almost nothing, and comes in lots of fun colors like aqua with polka dots. Check out prices and colors here.